President Michael Sata has told the United Nations that Africa must have a permanent seat on Security Council. Speaking in the United Nations General Assembly Hall in New York, Sata who was supposed to tackle the issue of rule of law at national and international levels, said Africans must stand up and be counted. “Since the League of Nations up to today, Africa is more of a spectator than a participant. We have no permanent members in the Security Council and yet we represent 54 members in this House,” said President Sata. We cannot talk of rule of law when we are not respecting each other. Therefore, all Africans must stand up and be counted. We must become permanent members of the Security Council,” Sata said in a short speech. 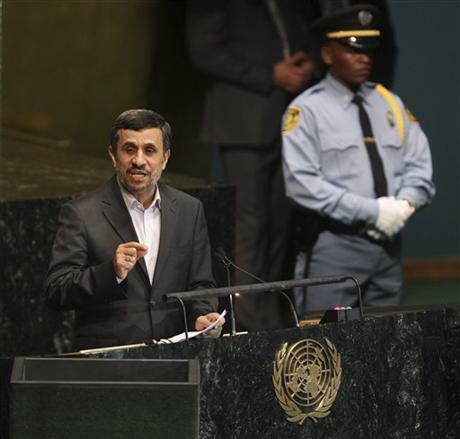 Just before Sata spoke, Iran’s President Mahmoud Ahmadinejad addressed the same gathering called for an immediate and infrastructural reform in the United Nation’s Security Council. Iran’s president said that the current structure of the UN Security Council was unjust and unable to maintain sustainable order, peace and security worldwide. Strong words by Iran’s President came as some US senate members pressured the UN not to allow the Iranian delegation attend the annual UN summit in New York. On the second part of his speech the Iranian President called for infrastructural reforms in the United Nations and equal rights for all member states in adopting important global decisions. Iran which holds the presidency of the Non-Aligned Movement (NAM), the world’s second biggest international body after the UN, is looking forward to reshape the dynamics of global decision making by relying on the potentials of the NAM.